"How boring would be the face of the earth without mountains". 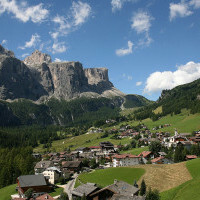 A picturesque alpine village, the highest one in Alta Badia, Colfosco (1646 m above sea level) has its unique charm in every season. Landscapes and holidays here are anything but boring. 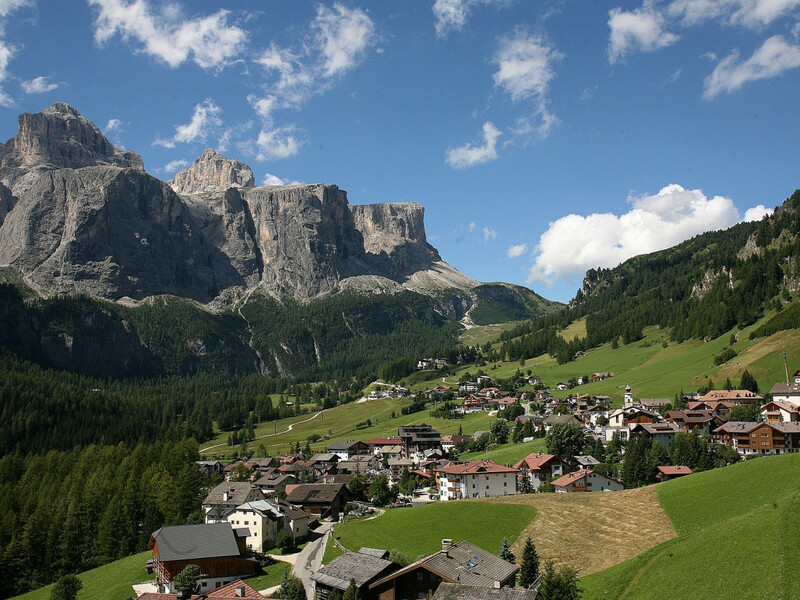 The mighty dolomite peaks not only create the fascinating scenery but also offer a huge variety of activities both in summer and in winter. Enjoy the legendary Ladin hospitality and taste the delights of the famous local cuisine that offers a flavourful mix of tradition and gourmet. Do you want to escape the urban chaos and regain serenity and harmony between body and mind? 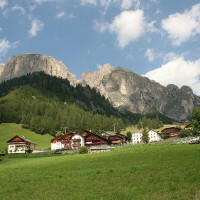 Come to Colfosco, Alta Badia in summer and let the magic of the high mountains fascinate you every day of your vacation! 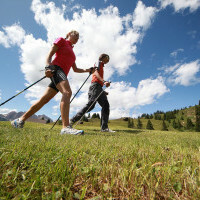 Besides there are lots of other activities to try such as golf, tennis and free climbing. 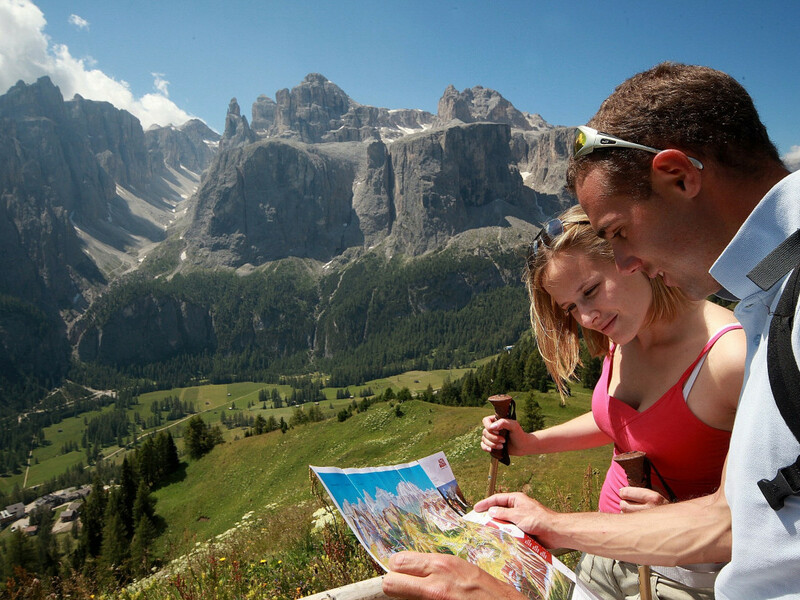 Moreover don’t miss the numerous sporting events: from Sellaronda bike days to the famous Maratona dles Dolomites. 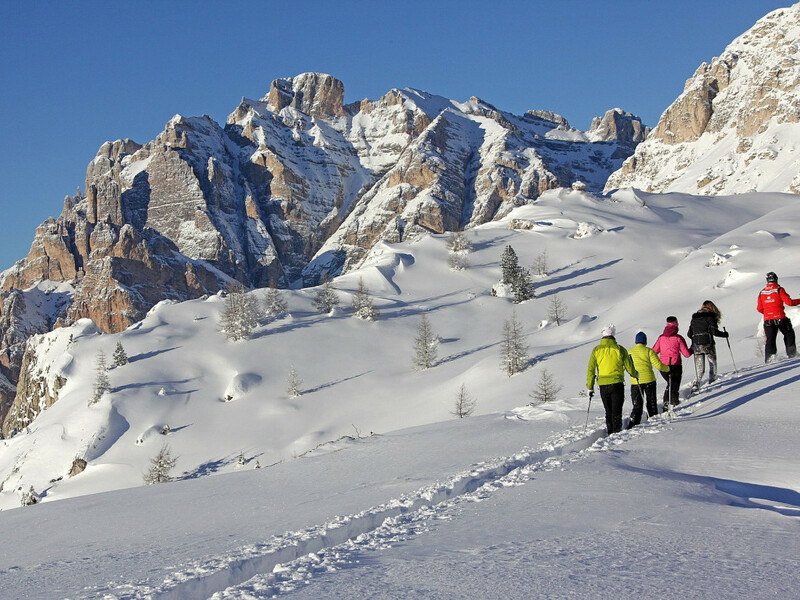 Dream to feel true freedom and joy conquering snowy mountains, to dive into the festive atmosphere that reigns on the slopes and in chalets, to admire the spectacular sunsets that colour the rocks in fiery red? 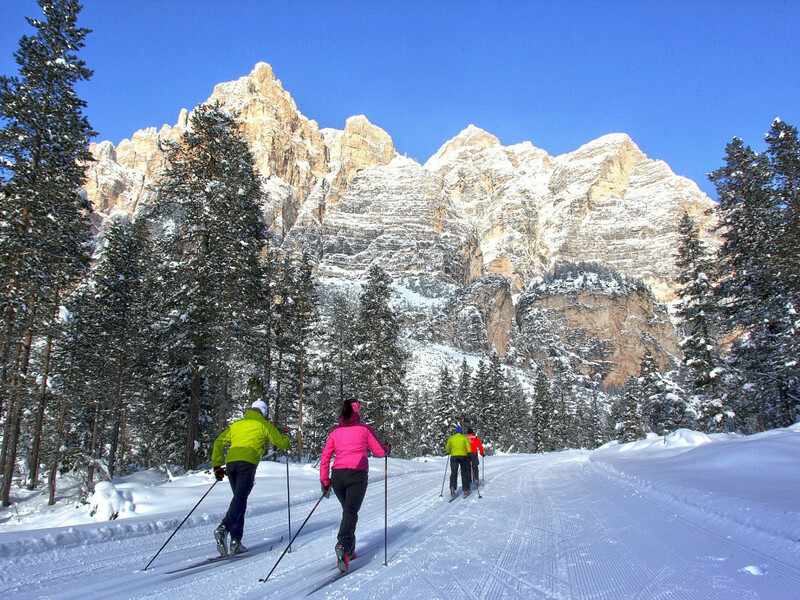 Come to spend your winter holiday to Colfosco, Alta Badia! 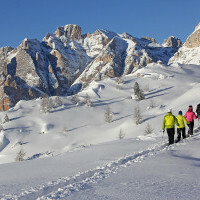 Enjoy the numerous perfectly prepared and connected slopes with skis or snowboard. 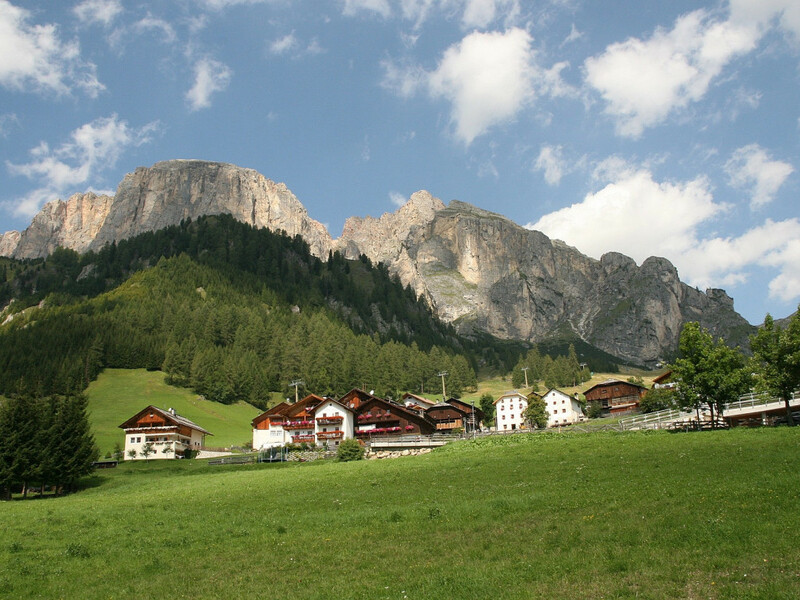 Colfosco is situated on the Sellaronda route, which makes part of the grandiose ski area Dolomiti Superski. 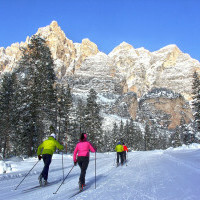 A variety of winter sports and entertainments: freeride, freestyle, cross-country skiing, ski mountaineering, snowshoeing, ice skating, sledging, horse-drawn sleigh rides and much more. 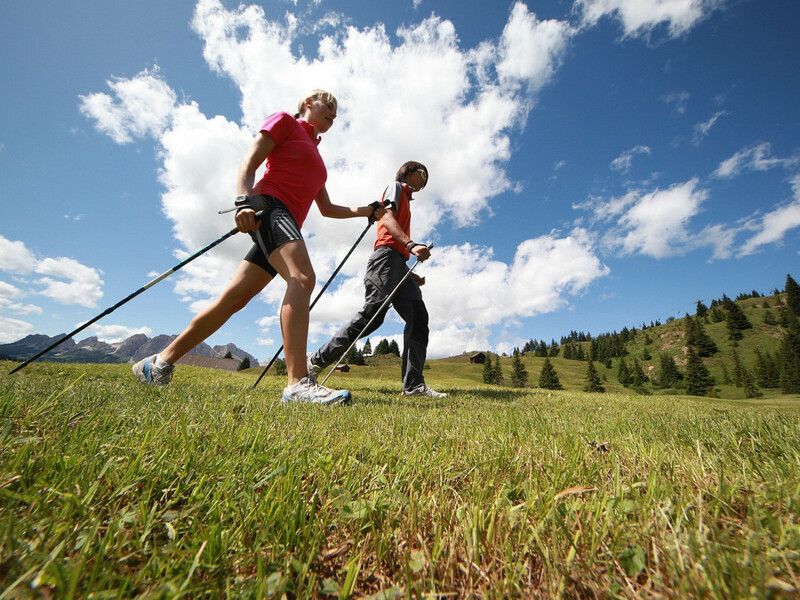 After an intensive sports day allow yourself to be enchanted by the splendid landscape. Savour a romantic candlelight evening or a dinner with friends in one of the renowned restaurants or chalets.